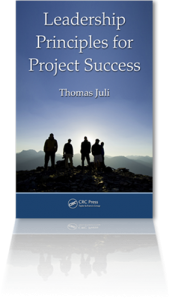 Learn about Thomas Juli’s 2011 book Leadership Principles for Project Success. New York: CRC Press. Filled with samples, templates, and guidelines that readers can immediately use in their projects,this practical guide covers the five principles of effective project leadership and how they can be applied in daily project work. Based on experience in project management and the literature on leadership,project management, business, systems, and complexity theory, the five leadership principles include building vision, nurturing collaboration, promoting performance, cultivating learning, and ensuring results. 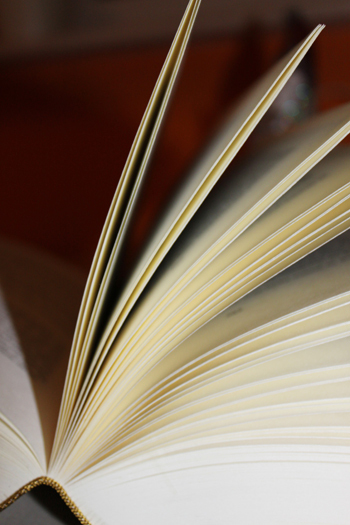 The book explains these principles in simple, nontechnical language and shows how they can set up, manage, and align projects for success. 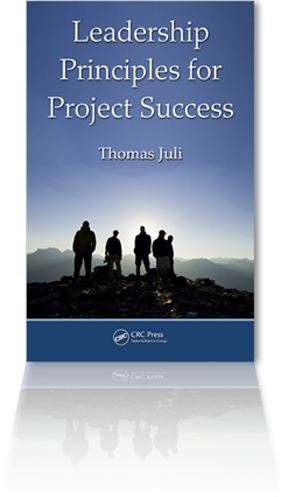 “This book is a great resource for not only projects, but for success in life in general. Start everything of importance with a clear vision and you will end with success“. Robert Urwiler, CIO, Vail Resorts Inc.
Michael O’Brochta, PMP, President, Zozer, Inc. Learn to apply the 5 principles of effective leadership to set-up, manage, and align your project for success. Both on the individual and team level. Inspire and benefit from team magic. Practice leadership in your role, and thus contribute to project success. It may be difficult at times. But it is possible. Every journey, regardless of how long it may be, starts with the first step. Take this step and move forward. Together, the five leadership principles build the Project Leadership Pyramid. 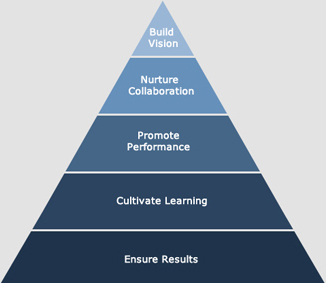 The principle at the top of this pyramid is the first principle (build vision), followed by nurture collaboration, promote performance, cultivate learning, and, at the base of the pyramid, ensure results. The pyramid is a powerful image. I use this image for a simple reason: Although I think building vision is probably the most important principle of effective leadership, the bottom line most people see or want to see is results. Thus vision is at the top and results at the foundation of the pyramid. Collaboration, performance, and learning are necessary building blocks of the pyramid. They are framed by vision and results. Visually speaking, when you approach a pyramid from a far distance, you first see the top. In our case, vision is at the top of the pyramid. As you get closer, you see more of the pyramid until at last you are standing in front of the first row of the building blocks (results). Looking upward, you may feel overwhelmed by the size of the pyramid. It may not even be possible to see the top of the pyramid (vision). Alas, you know that it exists. It was the first thing that you could see and what caught your attention. It guided you all the way to the base of the pyramid. If you now want to understand the secrets of the pyramid, you have to go inside. You have to explore the pyramid. This book explains the structure of the project leadership pyramid and reveals the secrets inside. Why Did I pick the picture of a team on a mountain summit for the book cover? Project success is like a journey to a final destination. We can compare it with an expedition or tour. 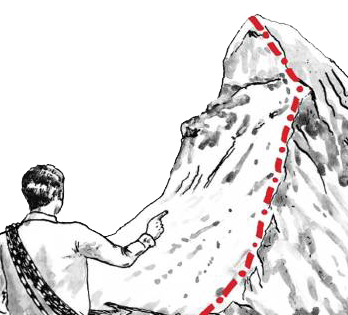 Take the image here of a mountain guide showing the path to the summit of the mountain. You can see the path in front of the guide. The planned route is marked on a map and maybe you can see it in the distance. To get to the summit you need to be in a good physical shape and carry the right tools with you. Depending on how experienced you are, you may need the help of others to reach the summit or you may offer your assistance to other members of the expedition. If you have ever hiked a mountain you know that arriving at the summit is certainly the climax of your trip. But it is not the only thing that matters. The ascent to and descent from the summit are just as important. And just as joyful. Reaching the summit may be the driver of the mountain tour. If, however, this is the only thing you focus on, chances are that you will fail along the way and never reach the summit. Hiking through nature, you are exposed to the natural elements and must react to changing environments. You may have a plan that has proven to be reliable in the past. However, at times you may have to change your track. You may need to take a detour or decide to turn back to the base camp and try to reach the summit at a later time or maybe not at all. Good, experienced tour guides know this. They take on the responsibility for their whole group. They want the group to safely reach the summit and return to the base. It is not about the performance of individuals, who may be highly skilled and experienced mountaineers. The mission is to reach the top together and return home safely. This is why the picture I chose for the book cover includes a group of people rather than a single individual reaching the summit of a mountain. A mountain tour is, just like a project, a team effort. 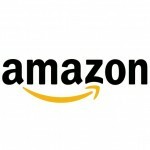 The book can be purchased online, for example, from Amazon or CRC Press. If you like a personal, signed copy please contact me directly. Title of presentation: “The 5 Team Leadership Principles for Project Success “and how they can help build and manage a performing and winning team. A handout of the presentation is available here; follow this link for an article / whitepaper on the 5 team leadership principles for project success. Last but not least you may be interested in a past presentation on the same topic I gave at the NASA Project Management Challenge 2011. That presentation is available on Slideshare. I was honored to give 2 presentations. My first presentation was entitled “The 5 Team Leadership Principles for Project Success”, my second one “The Learning Project Organization”. Have a look at my 3 blog posts on the Congress in Dallas. It includes both of my papers and articles as well as key take-aways from this conference. 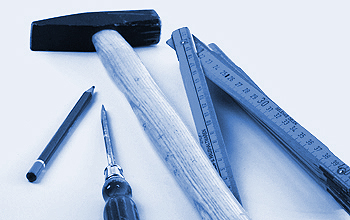 What is the key to effective project management and project success? I was invited to deliver a keynote on “Leadership Principles for Project Success”. Have a look at my past blogposts for deteails: http://thomasjuli.wordpress.com/2010/11/30/pm-conference-in-athens-greece-presentation-available-for-download/ and http://thomasjuli.wordpress.com/2010/12/07/photo-impressions-from-conference-in-athens/. 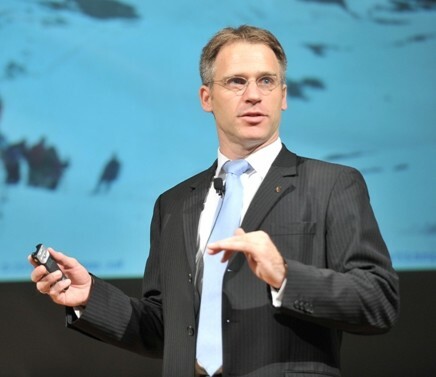 I presented my insights on “It Takes a Team to Re-Align a Project: Lessons from Rescue Missions” at the 2009 PMI Global Congress. The official synopsis as well as the article and presentation are available for download. I conducted two 3-hour sessions entitled “Yes We Can: Team Building as a Means to Re-Align a Project”. Content: Project recovery missions are probably one of the most difficult challenges a project manager may face. Alone a project manager cannot handle such a situation. It takes a team to do so. The workshop will show why and how team building can be an effective and efficient mean to re-align projects gone astray.The presentation can be viewed and downloaded here. Impressions of the 2 workshops can be viewed in my online photo album. I conducted a workshop “Realigning Project Objectives and Stakeholders’ Expectations in a Project Behind Schedule”. The article on which this workshop is based as well as the presentation are available for download. In addition, have a look at the Blog Posts below or choose the category “Keynotes” in our Blog. Project success is wonderful – we think, we believe, we are told. But, does it make us happy? Of course, it does….